Paradigm® Blog | News & Updates: Monitor 11 speaker system & Monitor SUB 12 subwoofer earn Sound & Vision Top Pick Awards! Monitor 11 speaker system & Monitor SUB 12 subwoofer earn Sound & Vision Top Pick Awards! 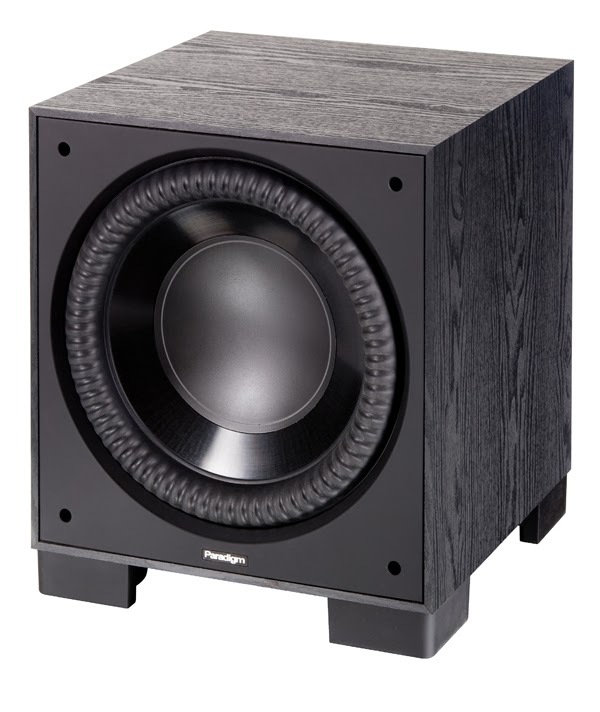 "Canadian speaker manufacturer Paradigm makes a bewildering variety of loudspeakers. 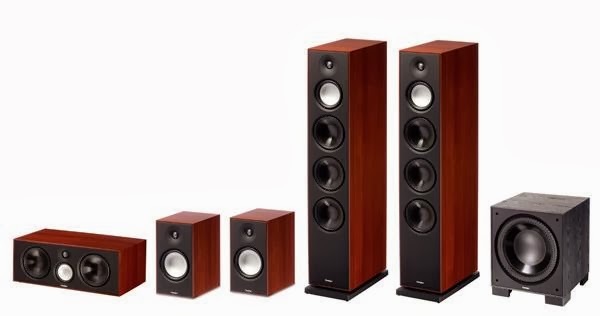 Its offerings top out at around $9,000 for a two-channel pair of Signature S8s—remarkably sensible considering the recent and alarming inflation in high-end audio prices. But while the speakers that make up the Paradigm’s Monitor Series 7, latest version of the company’s long-lived, bread-and-butter line, are far less expensive, they’re anything but an afterthought." "While the Monitor Series 7 speakers are essentially budget designs, there’s nothing skimpy in their appearance. They’re refreshingly businesslike, free of excess bling, and available finished in either Black Ash or Heritage Cherry grained vinyl. The cherry on our samples could easily pass for real wood." "A good speaker should be equally at home with both movies and music, and I’ve never reviewed a speaker system that glitters on one and flops on the other. But I have heard speakers that were delightful on movies and merely satisfactory on music—or the reverse... This was definitely not the case with the Paradigm Monitors. Together they made up one of the most satisfying speaker systems I’ve reviewed to date and proved equally adept at putting you in the concert venue, recording studio, or movie palace." "... the amount of deep bass that the Monitor 11’s three 6.5-inch woofers can pump out is amazing... the Paradigms, sans subs, could do such an impressive job of launching me out of my chair with a hard thwack on a big drum." "Other bass instruments fared equally well; clean, tight, and subjectively free of ringing and bloat. But inserting a good subwoofer into the system, crossed over at 80 Hz, noticeably upgraded the system’s performance on the lowest notes of organs and synthesizers; the latter widespread in many pop mixes. It also enhanced subtleties such as the reverberation tail of drums in ambient spaces." "Moving up the frequency scale, the stereo pair of Monitor 11s was remarkably low in coloration. Well-recorded voices and solo instruments sounded impeccable, with tight imaging, good depth, and no significant blur or smear. Midbass was crisp...Their top end has all the sparkle, airiness, and openness I crave... "
"The music contributes mightily to the movie’s effectiveness, and the Paradigms never let me down. Other sounds—the ambience of the throne room, the subtle, hushed “breathing” of the wisps that lead Merida through the forest, the active surrounds, and the clear dialogue, also came through without a hitch." "And I had no complaints about the Center 3’s performance. Whether I sat directly in front of it or off to the side, the subjective balance of the three front speakers was remarkably similar on real program material—even when a speaking character or sound effect moved across the screen." "All three films are on my bass test list, and none of them disappointed on the Paradigm SUB 12... After its PBK equalization, the SUB 12 invariably pulled more than its own weight on these bass-heavy discs with a tight, crunchy bottom-end performance." "With the entire system operating, the Paradigms produced a huge, coherent soundstage... I can’t imagine it sounding more impressive than did on the Paradigms." "... the Monitors were immensely satisfying on both music and movies. I never felt the need to rush through a listening session. In fact, on both movies and music, each session often lasted far longer than I had planned. If you’re shopping in this price range, or even twice that, you need to audition the Monitor Series 7." Click here! for more info. on Paradigm's Monitor Series.